Consumers have widespread access to sites such as yelp.com to help them highlight their restaurant experiences and to decide where they want to spend their money. After a poor experience, 52% of consumers say they will “never do business” with a company again. And they are very vocal about it. Almost 50% of consumers report always or often using an online posting or blog to get opinions about a company's customer service reputation. Nearly 40% say they have posted a negative review online after a poor customer experience. (Source: Study: Customers will pay more for better service, Fast Casual, July 6, 2010; Study: Effective customer service comes from kindness, not speed, QSR Magazine, January 25, 2013 ; How To Remove A Negative Online Review, by Neil Asher, Roar Local, October 16, 2012). More than ever, guest experience impacts the success of business operating within the restaurant industry. As a restaurant guest, there are dozens of mini ‘guest events’ that define their overall experience. Was the steak cooked properly? Did my server make me laugh? How long did I wait to be greeted? As a restaurant owner or manager, if you can create a consistently positive outcome to these guest events, you’ll win the game. Remember a restaurant’s identity isn’t determined by the opinion of management and owners. A restaurant’s identity is determined by the opinion of everyone else. 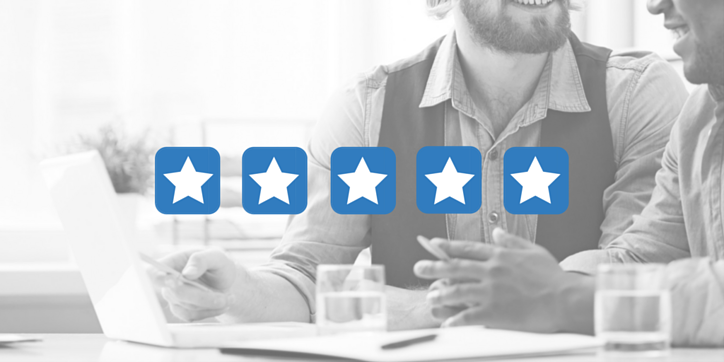 So, how can an owner or manager ensure a consistent positive guest experience? There is one common theme that links these events together: the outcome for every, single mini guest event is determined by the people providing the service during your visit. One of the most overlooked aspects of creating a consistent restaurant guest experience is scheduling to ensure that you have your ‘aces in their places.’ ‘Aces in their places’ refers to more than having the appropriate number of staff on the floor to support the week’s sales flow. It’s about the right culture of personality and skill to create an unforgettable experience for your guests and a fun, productive atmosphere for your staff. The first thing to do when you want to make a change to your business, is to identify a metric that can measure the success of the change. Make it simple to start and don’t over-think it. We would recommend guest count per day, because it’s usually easy to track depending on the POS or scheduling software you use. If your guest count per day is trending upward, you’re doing something right. If you’re guest count per day is trending even or down, you’re doing something wrong. The metric you choose is important, but not as important as measuring something. 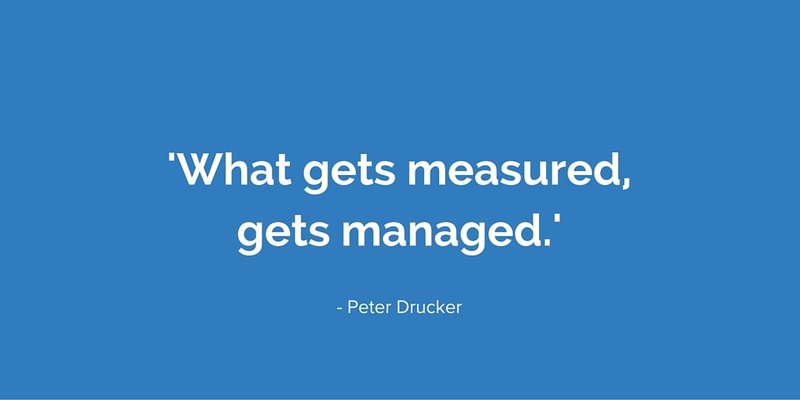 If you want to manage something effectively, you need to measure it. If you’re a restaurant owner or manager and you see business value in scheduling with ‘aces in their places,’ the first thing you need to do is identify them. Sit down with your management team and your schedule. Go through each employee in each department and discuss who is an ace and why. Make a note of your aces either on a spreadsheet or use scheduling software that tracks that for you. Once you’ve identified your ‘aces,’ it’s time to confirm the ‘places.’ Speak with the management team about the different positions or shifts in your restaurant and confirm which of them has the greatest exposure to your guests. Next, have a conversation with your aces and recognize them for being amazing. Recognition is the number one motivator in most work environments, so that alone will have an impact on overall performance. Tell your aces that you’re trying to improve guest experience and that they’re going to be a big part of that success. Let your aces know that you’d like to meet with them on a monthly basis to check in and gather feedback on ways to improve. Be sure to check out this great article on how to gather feedback from your team. Now it’s time to make sure you schedule your aces in their places. 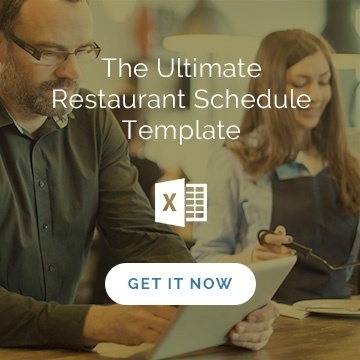 Make sure that your star performers are scheduled to work the most critical shifts and positions in your restaurant. Ameego has the ability to do this for you automatically, but you can do it manually, too. After several weeks, guest count trends will begin to emerge. If you’re not trending in the right direction, then you can engage with your management team, and your aces, to effect change. You will have created a guest experience engine that continually works towards improvement. Now you might say, this sounds like a ton of work and effort, and you’d be right...at first. You know what’s worse though? Dealing with disgruntled guests over and over. 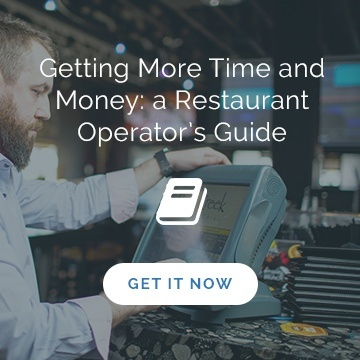 Spending your valuable time on damage control, rather than growing your restaurant’s success. Trending in the wrong direction in terms of guest counts, and online reviews sinking further and further. As with anything new setting things up properly will take some time, especially if you’re scheduling manually. 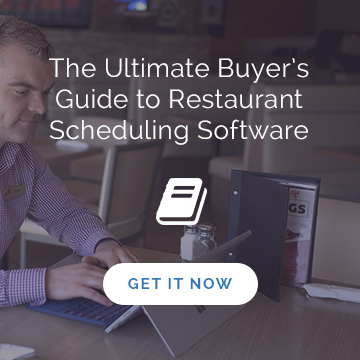 But after a while, this process will become automatic, and it will pay dividends towards the success of your restaurant in ways you can’t imagine. Scheduling aces in their places will become second nature and part of your culture. Guest experience will begin to improve and that will directly affect your guest counts. As we all know, the more guests that walk through your door, the greater the impact on your sales. If you want to grow your business, you need to consistently create an outstanding guest experience. And in order to create an outstanding guest experience, you need to schedule your aces in their places. Looking to create schedules in a fraction of the time? Ameego can help you create a balanced, profitable schedule in seconds with our One-Touch scheduler. Contact us to get a free demo and see how easy it is!